We have a great meeting planned for October 10! Featuring three guest speakers including Mr. Dale Wheeldon of the British Columbia Economic Development Association. Mr. Wheeldon has many years of experience in building communities through economic development. His topic today will be on DOING BUSINESS IN THE FACE OF DISASTER. An important topic for ALL in business to listen to knowing full well that a disaster is very possible at any time. A Tsuanmi....could hit, a forest fire could hit....earthquake. Dale has 26 years of economic development experience. Starting out as an economic development officer in a rural BC community he received a number of awards including for his economic development website, community profile and investment attraction marketing. From there Dale moved on to Chilliwack, BC, with a population base of 80,000, where he was Director of Economic Development for the Chilliwack Economic Partners Corporation. WWe'll then switch gears and begin the process of understanding the impacts of the Referendum coming shortly after the Civic Elections. With that in mind we have two Speakers joining us on the 10th. Jamie Deith is a Vancouver Island businessman who has lived in Courtenay for 15 years. 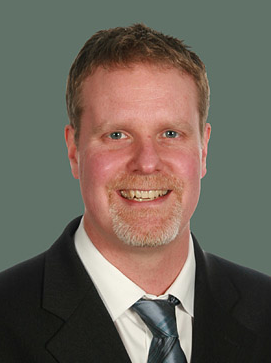 He is co-founder and President of Pacific Sleep Care, Vancouver Island's most successful sleep therapy provider. He is also the founder and CEO of Eagle Graphite, which owns western North America's only graphite quarry. Prior to this he was at TD Securities, where he was Global Co-head of the Customized Solutions financial derivatives group. Over his 12-year career at the bank, he was stationed at various times in Toronto Ontario, in London UK, and Dublin Ireland. He has also lived in Germany, meaning that he has experienced first hand most of the voting systems involved in the upcoming referendum, including of course the current first past the post system. Mr. Deith has a degree in Systems Design Engineering, and has analyzed in depth virtually all voting systems in use today, as well as several systems that have never been used for elections. He has no official role in any of the referendum campaigns, nor with any political party, and speaks as an independent citizen for this event. Mr. Deith is speaking in favour of Proportional Representation. Dale has 26 years of economic development experience. Starting out as an economic development officer in a rural BC community he received a number of awOur final speaker on the evening will present his views on the referendum. Following the two speakers there will be time for Q/A. 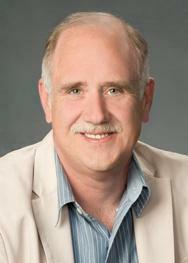 Kent Verge is the Campaign Coordinator for the No BC Proportional Representation Society. After over a decade in the private sector working as a research chemist, Kent transitioned to politics. Since then, he has provided advice to Cabinet Ministers federally and provincially and worked on electoral campaigns at every level. ards including for his economic development website, community profile and investment attraction marketing. From there Dale moved on to Chilliwack, BC, with a pJoin us on Wednesday, October 10th 5:30pm at the Hospitality Inn. Chamber Members receive a preferred rate for the Dinner Meeting but all are welcome. Extra Special for this Dinner Meeting is knowing that your 'ticket' for this event also covers the cost of the November Dinner Meeting (November 7th - Chances). That's right! Pay for this Dinner Meeting and get the next one for FREE! opulation base of 80,000, where he was Director of Economic Development for the Chilliwack Economic Partners Corporation. We're pleased to bring you to the Hospitality Inn who have recently reopened their Restaurant from Breakfast Services. They are pleased to cater this event specially for us. It's lovely in there!